Obituary for Charles "Ted" Grainger | Langeland Family Funeral Homes, Inc.
Ted and Trudy were married on June 27, 1959. His wife and family meant the world to him. With Trudy by his side, he seldom missed watching his children play their various sports at Portage Central and in college and enjoyed celebrating their successes on and off the field. He would often be in the bleachers proudly cheering on his grandchildren. He was a problem solver and self-taught "do-it-yourselfer" taking pride in doing the job right. He was always working on something; from building houses, to huge landscaping efforts, to Long Lake (Traverse City) and South Haven projects, he truly enjoyed and believed in sweat equity. Annual vacations with the Willyard Family on Long Lake since 1967 provide treasured memories. 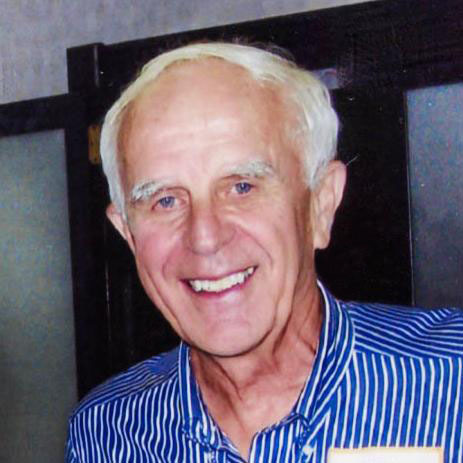 Beyond typical lake activities like sailing, skiing, and fishing, Ted was known for hitting golf balls off the dock, enjoying hours on the trusty "putt-putt" rowboat with the kids and grandkids, initiating family treasure hunts through the woods, and eating Michigan corn on the cob. Recollections of time spent on Marco Island, FL with family and friends since the mid-1980s are special as well. In accordance with his wishes cremation has taken place. A memorial gathering is planned from 2:00- 5:00 on Saturday, April 20 at Langeland Family Funeral Homes, Westside Chapel, 3926 South 9th Street, Kalamazoo, MI. There's still time to send flowers to the Gathering at the Langeland Family Funeral Homes Westside Chapel from 2:00 PM to 5:00 PM on April 20, 2019.